In the twelfth and thirteenth centuries history, interpreted as both the recent past and a period stretching back to include the biblical narrative, became a major interest for both the educated elite and a growing audience who accessed ideas through vernacular texts. New chronicles and annals were produced, together with accounts of the histories of particular peoples, nations and subjects. At the same time, history was explored through images in books and other media. Much historical writing in this period dealt with issues of conquest and identity, which were often allied to geography, ethnicity or particular institutions. The 'History Books' project, funded by the Marie Curie Programme (FP7), examines surviving medieval manuscripts in order to investigate the writing of history in areas controlled by the Anglo-Norman monarchs, concentrating on the period 1100-1300. In particular the project explores surviving manuscripts, to explore how and why history was communicated through text, page layout and decoration. Laura is Ussher Lecturer in Medieval Art at Trinity College Dublin. She is currently working on a book on the use of images in historical writings c.1100-c.1300. Publications relevant to this project include: 'Kings Behaving Badly: Images of Rulers in Gerald of Wales' Works on Ireland c.1200' Ikon Vol. 5 (2012), 151-160; 'Gerald of Wales on Irish Art: Objects, Stories and Images in the Making of History in the Thirteenth Century' in J. Hawkes (ed.) Making Histories: Proceedings of the Sixth International Insular Art Conference (2013), 'Past, Present and Future for Thirteenth-Century Wales: Two Diagrams in British Library Cotton Roll XIV.12' electronic British Library Journal (2013, article 13), 1-26, 'From Codex to Roll: Illustrating History in the Anglo-Norman World in the Twelfth and Thirteenth Centuries' Anglo-Norman StudiesVol. 36 (Woodbridge, 2014), 69-89. In May 2015 the project hosted a conference on History Books in the Anglo-Norman World. This event brought together scholars from a range of disciplines to explore the manuscripts in which history circulated in the Middle Ages. Further details and abstracts of the papers can be found here. The proceedings of the conference will be published by Boydell & Brewer in 2017. In conjunction with the History Books project's conference, Trinity College Library presented an exhibition of Anglo-Norman history books from their collection. The exhibition was held in the Old Library and included the autograph manuscript of John of Worcester's Chronicula (MS 503) and copies of works by other famous medieval historians including William of Malmesbury, Geoffrey of Monmouth, Henry of Huntingdon and Ralph of Diss. In 2013-14 the project sponsored three M.Phil students working on medieval manuscripts. Nina Baker, Kerstina Mortensen and Charlotte Schaeken explored aspects of book production and identity as part of the M.Phil programmes in Medieval Language, Literature and Culture, and Irish Art History. This project has brought together scholars from a wide range of disciplines to examine issues relevant to the project and work on manuscripts in Trinity College Library's collection. Jennifer's research interests primarily concern representations of the supernatural in the histories and romances produced in England between the twelfth and fourteenth centuries. Recently she has begun to examine the form and function of female supernatural beings within these writings, having previously worked on assessing the classical and Christian influences which shaped Geoffrey of Monmouth's use of prophecy in his Historia Regum Britanniae. For History Books in the Anglo-Norman World Jennifer is using the TCD manuscripts of Geoffrey's Historia, and the other works with which it is collated, to consider the comparative contributions of wives and mistresses to the British and Anglo-Norman genealogical lines of succession. Kati joined the project in order to examine a collection of Marian miracles held in Trinity College Library. The origins of such collections in twelfth-century English monasteries were a key area pursued in her PhD, entitled Mary and the Jews in Anglo-Norman Monastic Culture, which she completed at Queen Mary, University of London in 2011. It sought to understand how sources produced in the monastic milieu for the cult of the Virgin, such as the miracle collections, transmitted important new ideas about Jews. She is now working on a book entitled Mother of Mercy, Bane of the Jews: The Virgin Mary in Anglo-Norman England (forthcoming, 2016). Her recent articles include 'Getting the punchline: deciphering anti-Jewish humour in Anglo-Norman England', Journal of Medieval History, Vol. 38 (2012), 408-23 and 'Early Evidence for the Cult of Anne in Twelfth-Century England', Traditio Vol. 69 (2014), 1-44. 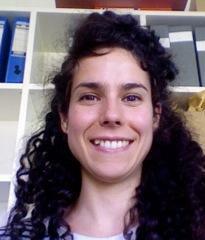 Kati is now a post-doctoral researcher at the University of Bristol. 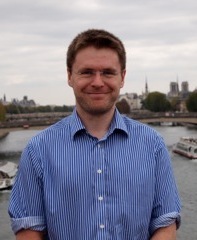 Diarmuid's research interests mainly concern Irish monasticism and the history of the Irish in medieval Europe. His doctoral research at UCD related to the history and architecture of the Irish Benedictine monasteries founded in Germany and Austria between the late eleventh and early thirteenth centuries. Diarmuid has a particular interest in the hagiographical output of these monasteries and the transmission of these texts across central Europe. 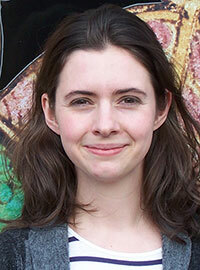 Laura’s research examines relationships between art, ideas, power and politics in medieval Britain. For the History Books project Laura examined TCD MS 53, the Winchcombe Psalter, and its presentation of Christ’s genealogy. Laura’s research was published as ‘Visual Reflections on History and Kingship in the Medieval English Great Church’, Journal of the British Archaeological Association Vol. 167 (2014), 83-108. Her work on the Winchcombe Psalter has also formed the basis for her forthcoming article 'Lessons in Leadership and Liturgy in the Winchcombe Psalter', English Studies (2017). 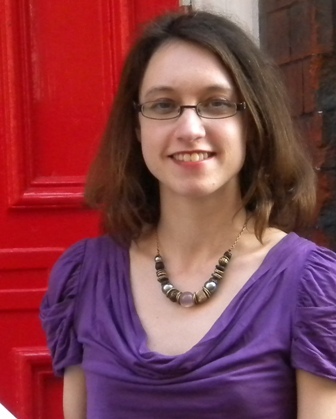 Laura has gone on to hold postdoctoral positions at the University of York and UCL. She is currently working on a book entitled Art and Political Thought in Medieval England. Colleen is interested in the Christian art of early medieval Ireland and Britain. Her research to date has been concerned with the relationships among written texts, visual representations, monastic practice and social organization. She is also interested in the influences from the Mediterranean world of late antiquity on Insular art and culture. Her previous work has been on the medieval representations of the Egyptian hermit saints Paul and Antony. Currently she is working on the use of the medieval high cross form in nineteenth century Irish sculpture. As part of the History Books project she is exploring the treatment of Anglo-Saxon saints in manuscripts from the twelfth and thirteenth centuries in TCD's collection. David's research interests encompass both pre- and post-Conquest history and historiography. Having completed an edition of all surviving Anglo-Saxon charters from Northumbria (Charters of Northern Houses, Anglo-Saxon Charters 16 (Oxford, September 2012)), he is about to turn his attention to the Chronicon ex chronicis of John of Worcester. While the actual text of the Chronicle has been edited in two volumes for the Oxford Medieval Texts series (1995, 1998), many fundamental questions remain (e.g. concerning its very authorship) and it is his aim to write the complementary volume one for this series. David has recently edited (with Martin Brett) a collection of essays entitled The Long Twelfth-Century View of the Anglo-Saxon Past (Farnham, 2015). 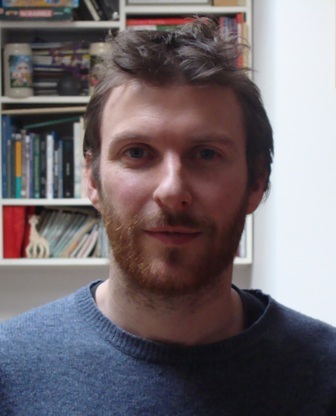 Mark is particularly interested in medieval historiography and the development of historical narrative among the peoples of Ireland and Britain between the eleventh and thirteenth centuries. For this project he is investigating historical compendia, especially manuscripts which couple 'national histories' (origin-legends) with chronicles of later times. The focus is on historical manuscripts containing versions of the Trojan history: the Normans, French and Welsh (and other European peoples) all claimed descent from the Trojans, and Mark is looking at how historical compilations made in different parts of the Anglo-Norman and Angevin dominions articulated the history, identity and destiny of different peoples. Mark presented his work on TCD MS 515 at the International Congress of Celtic Studies in 2015.